BPI Sports made a pretty big impact in the test booster market when they first released A-HD. This anti-aromatic single pill test booster was a hit, mainly because unlike other t-boosters it was affordable. Not just affordable by a margin, but instead proudly affordable coming in at half the price of the industry leading supplements. Not too bad for a test booster, right? Of course, these aren’t the maximum muscle gain claims of the absolute best test boosters. But when you really think about the price point and what you are getting – there is massive value. Enough value that BPI was able to expand upon A-HD to now offer the refined PRO-HD and A-HD Elite. 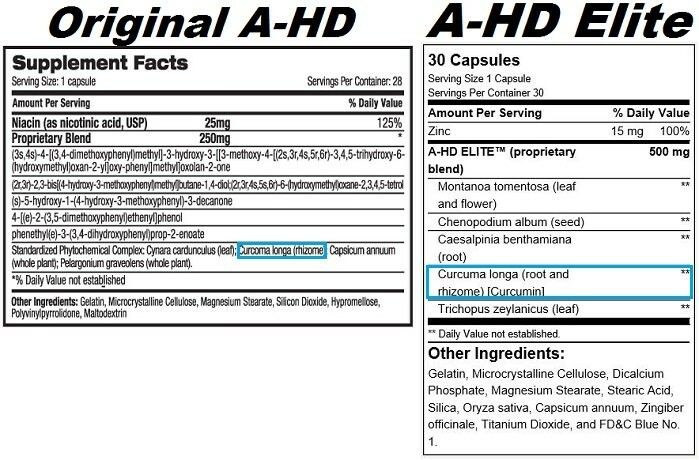 Yes, these are two new replacements for the original A-HD which is no longer produced by BPI. In essence and for simplicity, A-HD Elite is the ‘new and improved’ A-HD while PRO-HD is a synthesis between A-HD and a thermogenic. 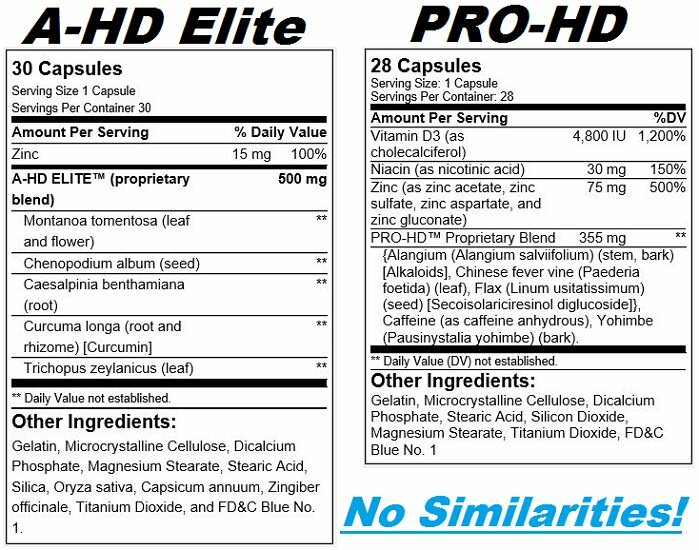 As you can see above, A-HD Elite is a completely new formula for the A-HD test booster line. However, our experience with A-HD Elite as well as other A-HD user reviews suggest that the effects are spot-on similar to the original. That includes, major muscle dryness and strength gains in the gym. As a whole, this is a test booster directed towards aesthetic bodybuilders versus those looking for a real bulky mass building phase. So, what exactly is in A-HD Elite is what you are probably wondering next. All that the label has is a collection of odd herbs that not very many people have heard of. Below, we’ve done our best to dig into what exactly these are, and the research behind them and their placement in A-HD Elite. This is a pretty interesting herb with a few clinical studies involving animals. To date, Montanoa tomentosa has been used as an aphrodisiac for men. Approximately 30 minutes after ingestion, it makes guys more excited, if you know what we mean. Digging into Montanoa tomentosa a little deeper revealed a study where mice were given this herb and then monitored for activity. It appeared, that Montanoa tomentosa increased pro-ejaculatory behavior by increasing oxytocin sensitivity (Carro-Juarez, 2006). This will have an interesting effect on your love life, but its link to testosterone optimization and body composition is still indeterminable to us based on current research. This is another aphrodisiac herb which is included in the A-HD Elite test booster formula. However, unlike Montanoa tomentosa, research on Chenopodium album looks more hopeful in regards to testosterone and muscle mass enhancement. Of most value, is a study that determined Chenopodium album to increase both lean mass and testicular size in mice to a significant degree (A. Baldi, 2013). Increases in arousal were also noted, naturally. With less wide use, Caeslpinia benthamiana has been found to possess aphrodisiac qualities. These qualities are most likely related to the herbs nitric-oxide promoting properties which improve the ease of activity (Pratap, 2012). This may have a positive net effect on muscle growth. Here, is probably the easiest ingredient to obtain and take, but also the most beneficial. Curcumin has been found to improve testosterone production and overall health in a multitude of studies. To the point, that curcumin has been found to significantly raise test levels on its own, as well as combat the negative effects of testosterone hindering free-radicals. The only caveat to Curcumin is that there is research suggesting that it can reduce DHT. To some guys, that sounds great. However, as we have recently learned – DHT is actually more anabolic than its precursor testosterone. Commonly referred to as Indian ginseng (India the country), Trichopus zeylanicus has been found to promote endurance and combat varying levels of fatigue in several studies. As a whole, the testosterone promoting effect of this herb is unkown. However, on a larger scale we can see why this herb would be beneficial in a test booster directed towards muscle growth. As you know, A-HD Elite is intended to raise your big-T and give you a great muscle-dryness look thanks to its powerful anti-estrogen activity. PRO-HD on the other hand is meant to go one step farther by including some naturally thermogenic ingredients to maintain your test optimization all the while burning even more excess fat. Just think – testosterone booster + fat burner in one for men. Sounds great, and we’ve read a few great reviews for this product – however we won’t touch the stuff as you will see in the ingredient break-down below. PRO-HD contains very large doses of vitamin D3 and Zinc. Both of these are essential to peak testosterone levels and thus optimization. While it’s better to get your D3 from the sun and take zinc in smaller quantities throughout the day – this combo in PRO-HD is extremely cost effective and worthwhile for most bodybuilders who get neither appropriately on their own. Very, very little applicable research is available for Alangium salviifolium. In one rat study, this herb was found to significantly increase testicle size, but that’s about it. The bark of this herb has also been used in Indian medicine for prompting abortion. Another ingredient with hard to find research. We were unable to find fruitful information on Chinese Fever Vine. Unfortunately, this absolutely killed PRO-HD for us. Flax Seed. Yes, Flax is an amazing source of omega-3 fatty acids (for women). But it’s also a natural estrogen mimic. Meaning, it acts as estrogen in the body. More so, as Ali from AnabolicMen states, it’s roughly 3 times more estrogenic than soy, the king of estrogen! That’s not acceptable, and makes us wonder why this ingredient is here? Caffeine is a large component of PRO-HD’s thermogenic complex. Caffeine, as you know increases energy as well as thermogenesis. This effect results in heightened mood and caloric burn. Just don’t take your PRO-HD too close to bed or you will not sleep till the early morning. Yohimbe has a bad rap due to its occasional side effects in some guys (like sweaty palms and increased heart rate). But as a whole, Yohimbe is a potent stamina, testosterone, and libido increaser. If your body can handle Yohimbe, its worth taking at times. By far, these are the absolute most affordable test boosters available, anywhere. For under 30 bucks you’re good to go for a whole month. However, if you need to choose, go with A-HD Elite. PRO-HD does not do it for us at all considering the inclusion of Flax in its formula.